Net Impact supporters believe in the power of a new generation of leaders to tackle the world’s toughest problems through their careers! 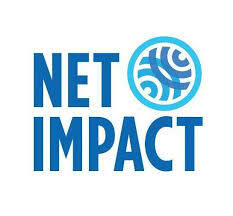 Net Impact offers our partners opportunities to glean insights and innovative ideas from our network of 100,000 young people, raise awareness or drive action around your social and environmental priorities, and position your company as a leader in sustainability to the next generation of thought leaders, consumers, and future employees. Engagement opportunities are available year-round and at the Net Impact Conference. Through our collaborative efforts we seek to develop supportive agendas for positive social projects. Together, we will always serve the needs of brilliant people and exceptional organizations. SeeMeFunded.com is a marketing, media and funding resource service provider. All content, trademarks and logos are the sole property of the named parties. We have no exclusive rights or obligations to third party technologies, findings, concepts or methodologies nor do we endorse the accuracy of any third party reports.